But she could have been just another talk show host. That’s when Oprah made the decision that transformed her from an entertainer to an entrepreneur with a salary of $290 million a year. I’ll explain that decision and how you can adopt Oprah’s mindset in the 15 lessons below. Oprah has been captivating audiences since she was three years old. 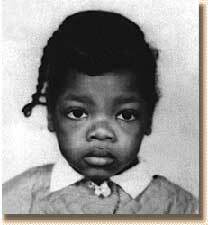 Her local church had nicknamed Oprah “The Preacher” for her ability to recite Bible verses. She had a knack for interviewing too. 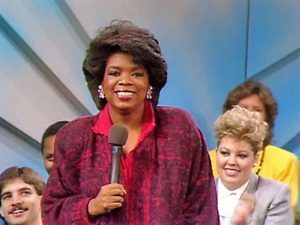 Back then, Oprah’s favorite game was to ask question of her doll and the crows on the fence of her family’s property. In other words, Winfrey was pretty much born to be a talk show host. If you feel like your job is a round hole and you’re a square peg, it’s time to make a change. In the early 1970’s, Oprah landed a job as the first black female news anchor at Nashville’s WLAC-TV. In 1976 Winfrey got an offer to anchor the six o’clock news in Baltimore. Ten years later, she was the host of The Oprah Winfrey Show – the number-one daytime talk show in America. Oprah, like mostly insanely successful people, doesn’t believe in failure. What most people think of as failure, Winfrey considers to be a new perspective, a new lesson, another stepping stone to her destination. When Winfrey was co-anchoring the evening news in Baltimore, a botched hair treatment destroyed her hair and left her totally bald. Winfrey was devastated, knowing how important a good head of hair is for a news anchor. Winfrey’s past is full of struggle – she grew up poor, was sexually abused as a child, and had a son at the age of 14 who died in infancy – but she credits these events for giving her more capacity to relate to the pain of others. School teaches kids that success is achieved by following instructions and by doing things the way they’re “supposed to be” done. But life and business teach a different lesson. When Winfrey got her first job as a news anchor, she didn’t read the news in a dry, objective tone (as it was “supposed to be” read). She spoke with emotion and empathy, as if she was really experiencing what she was reporting. It was different, but audiences liked it – and so TV producers did too. What was next for Winfrey was a different kind of talk show, one that focused less on tabloid stories and more on broad issues like health, politics, and spirituality. Again, Winfrey’s willingness to forge her own path paid off: ‘Oprah’ ruled the day-time TV ratings until it went off the air in 2011. A few years ago, I was faced with a big life crossroads. I wanted to choose my path in the most rational way possible, so I made a weighted chart with all of the positives and negatives, analyzed the data, and determined the “right” choice. Oprah would have told me to go with my gut. She’s a strong believer in her instincts, saying they’re “where true wisdom manifests itself.” She’s made her big decisions (like deciding to retire from ‘The Oprah Winfrey Show’) just based on a gut feeling. Instinct-based decision making is faster, less stressful, and more holistic. So if you’ve been making all of your decisions based on rational analysis but you’re not 100% happy with the results, try following going with your gut for a change. 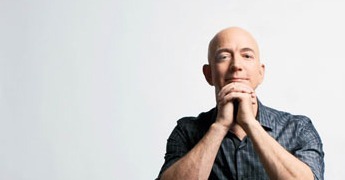 You can’t earn $2.7 billion without getting lucky at least once. Every entrepreneur hopes to land a huge client or get a sudden spike in traffic, but if they’ve spent all their time hoping (and not preparing) then when that huge opportunity finally does come along, their business won’t be fully equipped to make the most of it. Instead wishing for luck, think about what opportunity you would most like to receive in your life. Are you completely prepared to make the most of it? Not only has Winfrey started her own charity (Oprah’s Angel Network), she’s also given more of her own money to philanthropic causes than any other performer in America (estimated at $303 million in 2007). As entrepreneurs helping others, we demonstrate our value, encourage reciprocal help, build our networks, and create good karma. Doing good for others is doing good for yourself. To celebrate two decades on national television, Winfrey thanked her hard-working staff by taking them and their families on vacation to Hawaii (1065 people in total). That’s a pretty big thank you. Oprah’s such a fan of saying thanks, that she’s created an app called the “Thank You Game” which aspires to thank a half a billion people. The life of an entrepreneur is hectic. As I type this sentence, I have about five very different tasks on my to-do list and all of them probably should have been done yesterday. Next time you’re in a crunch and you’re ready to throw in the towel, remember Oprah’s method for slowing things down and regaining your clarity and focus. If she can put on a daily television show while working as CEO of Harpo Productions, there’s a chance you can get everything on your to-do list checked off today as well. Peer pressure is a powerful thing. We take on the habits, attitudes, and tastes of the people we spend our time with. I’ve read several places that your income will be the average of your five closest friends. Every successful entrepreneur who I’ve profiled is different, but they have one thing in common: each has worked hard to accomplish their goals. Oprah Winfrey pulled in a $290 million salary last year, but that figure represents 40 hour weeks piled on top of 50 hour weeks piled on top of 60 hour weeks. When you’re doing what you love, then you’re probably going to do a better job. Winfrey chose to take ownership of her show when she founded Harpo Productions. Being CEO of Harpo empowered her to have control over every aspect of her show. It also opened the door for Winfrey to produce films, broadcast radio programs, and publish a magazine. Oprah’s refused countless offers to endorse other company’s products. Everything that Oprah says, creates, or lends her name to, she owns. And she’s done it with virtually no outside investment: Winfrey owns 90% of stock in Harpo. Not satisfied with just her own show, as of 2011 Winfrey has her own network. Naturally, its name is ‘OWN’ (Oprah Winfrey Network). I talk to a lot of people who have adopted a passive mindset in their life. The way they see it, things just happen to them and all they can do is react. These people allow other people and external forces control them. You’re the only person in control of your hands, your feet, and your brain. What you choose to do with them will make all the difference in the world. I’m glad you find it useful. You join the ranks of millions who Oprah has inspired! True Inspiration. I am really impressed by Oprah. You are really great. It is amazing to think of all she has accomplished. It’s doubly impressive to think of all the challenges she started out with. This has to be one of my all time favorite articles! I loved every word! As entrepreneurs, we can all learn many lessons from Oprah, but her mindset was by far her biggest asset. What do you think small business owners should pay the most attention to out of these lessons? Hmmmmm… I would say “Make Your Own Luck.” I’ve had a few golden business opportunities slip through my fingers because I wasn’t totally prepared for them. 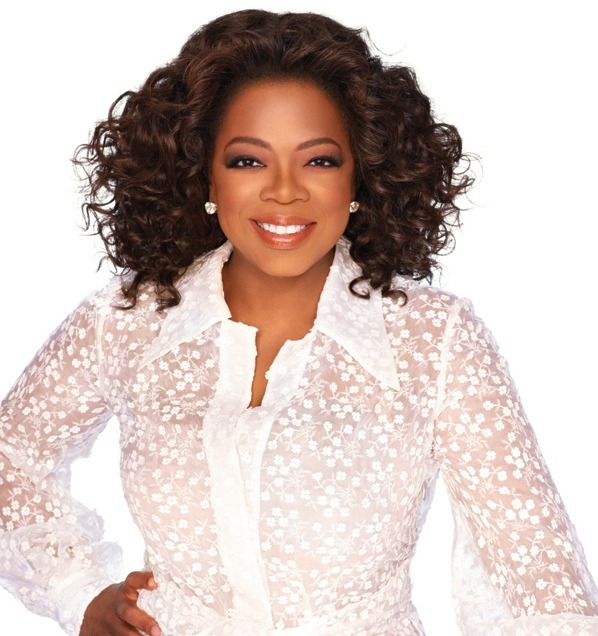 Oprah is an inspiration to me, and I love these 15 Inspiring Lessons. Thank you for sharing. Definitely agree with the point about choosing your friends wisely. 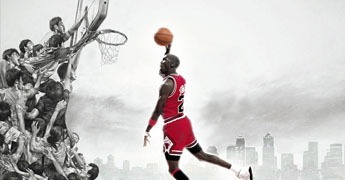 If you hang out with unsuccessful people, you are probably going to be an unsuccessful person as well. If you hang out with people who have like mindsets and are looking to achieve similar things as you, both of you can succeed together! Very true, Thomas. I love spending time with fellow successful entrepreneurs, hearing their perspective and the way they think. But remember too that it’s not just about spending time with successful people — if your friends are happy, kind, generous, and active, those traits will rub off on you as well. 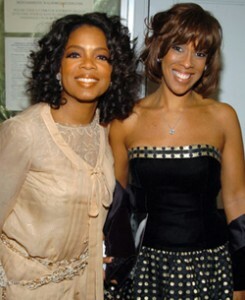 Hi OPRAH, you are my inspiration and my mentor. I watched your show everyday, I have learned a lot from you. I want to walk in your footsteps and be the Oprah Winfrey of South Africa. I admire you giving spirit. May God continue to bless you as you are a blessing to many. Nick, you killed it here again with this epic post. Oprah is such a great woman and considering she’s black, it shows hope for the black. Nick,you have been writing these kind of blogs about various people like Richard Branson,Steve Jobs etc .Can I have your permission to compile this as a book for the Indian market. I live in SFO but spend a lot of time in Chennai,India! Wow. Great to know. Thank you, Nick. I’ve learnt a lot. I had always wanted to read more about the life history of Oprah and find if its true she was sexually abused. Today I got the truth. I am truly inspired by the fact that she has taken her disappointments as her strengths. Good story! I love it. Very inspiring article. Be yourself, work hard, give back, choose your friends wisely, and never give up. These are all things that every one of us can learn from. I know I forget that people like Oprah weren’t born super successful, they had to work at it. As long as you a doing something that you love, then that shouldn’t be a problem. I wish there are women like Oprah in Malaysia. A woman who fights hard for her goal. Yes, we do have successful women entrepreneurs but they do not care about others as much as Oprah. They can talk but seldom walk their talk. Ever since Oprah have been an inspiration for everyone specially for women. These are essential lessons we can learn from her. Thanks for sharing. Oprah is definitely an impressive woman. If you look at everything she believes in, it’s easy to see how she became as successful as she is. This article inspires me to do more each day. Love it! This post makes me feel inspired. I think I will create a Pinterest board called “The Wisdom of Oprah Winfrey”. I’ll take each of the quotations you used from her, turn them into little motivational posters, and share her wisdom with everyone. Thanks! i just to know about that oprah, so i can learn more from you. and anytime i must like her. thank for sharing.